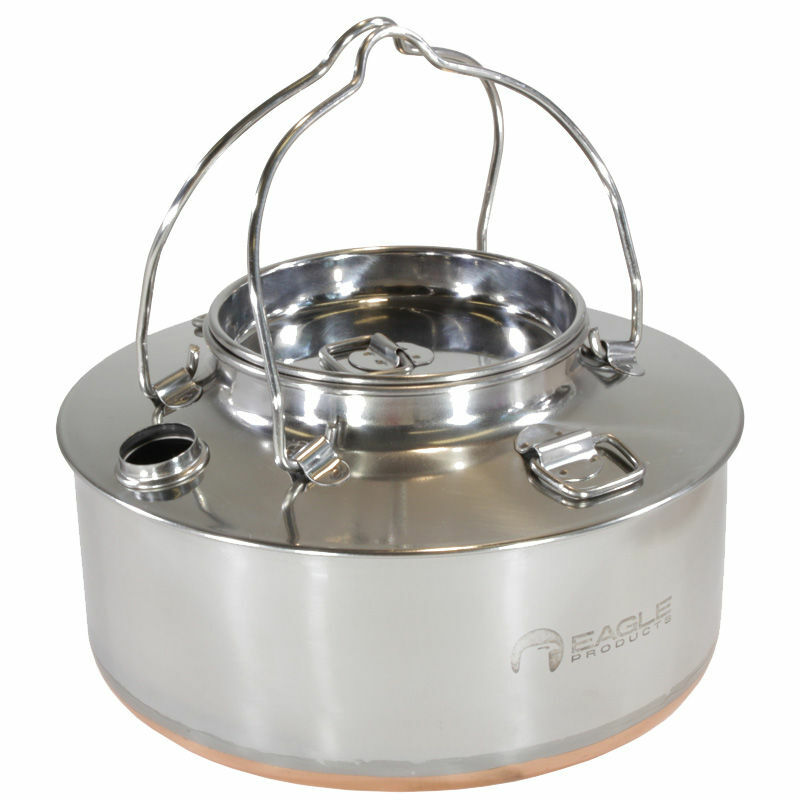 The Eagle Products 1.5 Litre Kettle is a luxury camping kettle made from polished stainless steel with a copper coated underside. This is the original and classic fire place kettle from Eagle Products. 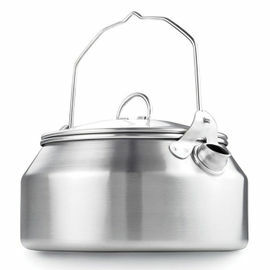 A well proven, solid and durabable kettle made from stainless steel. The lower section and base of the kettle is copper coated to ensure an efficient heat distribution and heating process over a stove or flame. This kettle features two handles for a more secure and stable fixture when cooking over a fire. It can be used suspended above all types of outdoor heat sources, including a stove and a camp fire. 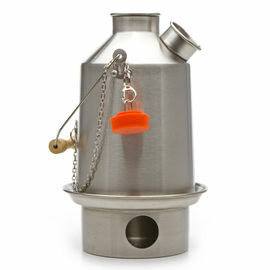 The Eagle Products Kettle is a very light and durable kettle, perfect for your outdoor adventures. This product also includes a mesh bag, which is ideal for transporting and storage. 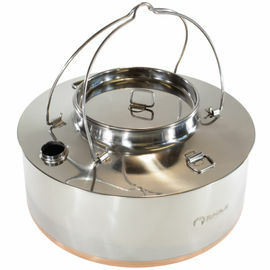 The Eagle Products 1.5 Litre Kettle is exclusively available from Woodlore within the UK. 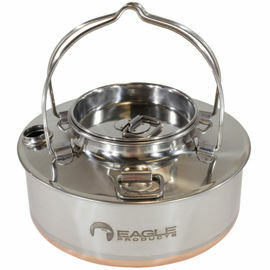 Eagle Products 1.5 Litre Kettle is rated 5/5 based on 38 customer reviews. This is a very good kettle. I placed an order for this kettle just before Christmas. It arrived the next day, less than 24 hours later. I tried it that day in my garden, using a small petrol stove. This produced enough boiling water to fill a 1.2 litre vacuum flask in just under 10 minutes. The spout worked surprisingly well for pouring the contents into the flask. Thick gloves were used to handle the stove and hot kettle. 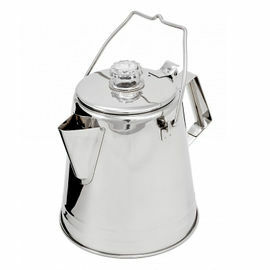 To get the last drops I tilted the kettle to such an extent that the lid, which is loose fitting, started to come away. That was stopped by using my gloved fingers. Afterwards, I noticed that there were some small scratch marks on the copper plated bottom. These were probably incurred when I re-positioned the kettle on the stove during the heating process. 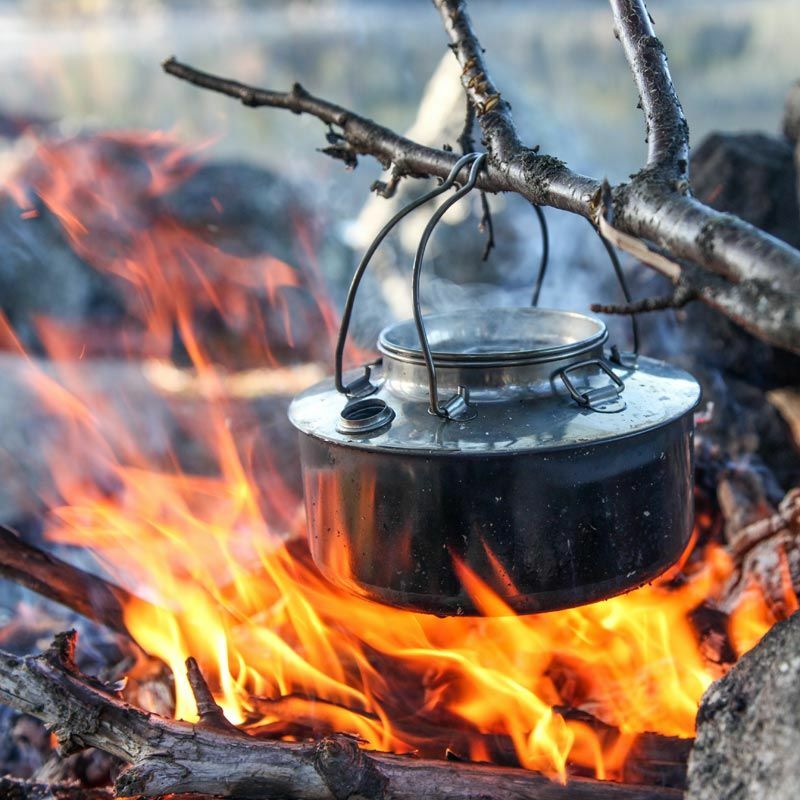 I decided not to write a review until I had tried the kettle on at least one camping trip. In late March I camped for 2 nights in a tent with a wood burning stove, on which the kettle worked well. It has a broad base and low height, giving good stability. The diameter of the bottom is about 170mm. The height to the side of the main rim is about 70mm. The height to the rim of the lid is about 95mm, which happens to be the same as the lid diameter. With this, small items can be placed inside the kettle when it is not in use. My kettle has a mass of about 355gm, and the mass of the bag is about 10gm. The wall thickness varies between about 0.4mm and 0.7mm. 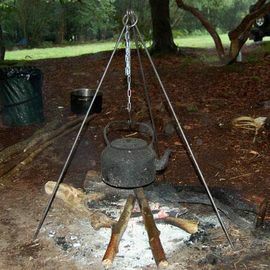 So far I have only used the wire bails to carry the kettle, but it looks as though they will work well for suspending it over a camp fire. When in transit, they can be clipped down using one of the two rings on opposite sides of the top opening. 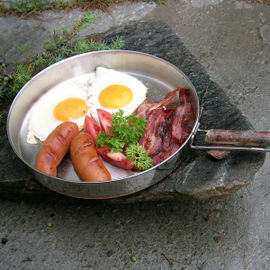 Many people in Norway and other countries use such a kettle. Loved the design. In Russia I am unable to find this item. I decided to order on this website. I ordered with caution since this is the first ordering from abroad, but I experienced no problems. The order was sent on the day of registration. After 14 days it arrived with me in Siberia. After receiving the kettle, I was very happy because it is really good. I went hiking the next day and all my friends were envious at my new kettle. Amazing kettle! High Quality and light weight Shipped fast to the U.S. Very happy Customer for life. Outstanding product at a great price. Very impressed with the fast order processing and shipping. My husband has wanted this for ages, I don't know why I didn't get it for him earlier. He loves it, uses it everyday, can't fault it. Beautiful kettle, heats & pours very well. Service was excellent. Thank you. Awesome Product, probably going to buy more of what Eagle Products has to offer. Great item, it is well built. Used for the first time yesterday on a tripod, very pleased with purchase, quick delivery as usual. Nice design, well spot-welded. I love it. Ordering the product on the Woodlore website was easy, good business communication, the merchandise was in perfect order which I can highly recommend. 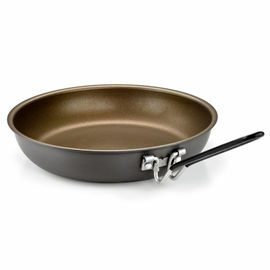 This product is the best I ever had to cook with. It is versatile and very light. 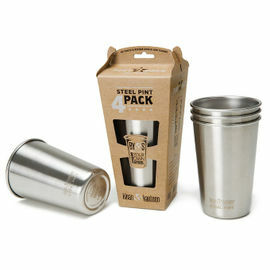 You can cook coffee, tea and other hot drinks in it. You can prepare food for 1-2 people.